Cornwall’s protected landscape is well known and much loved for its iconic tin mines and prehistoric stone circles and these features often form some of our visitor’s fondest memories of Cornwall and the reason why so many return time after time. These features are also much treasured by the many local voluntary conservation groups who tirelessly give up their own time on a regular basis to safeguard heritage sites, working with local landowners, across the county from Rame Head to West Penwith. But did you know that the Cornwall Area of Outstanding Natural Beauty (AONB) contains most of the County’s scheduled monuments? There are currently 90 Scheduled Ancient Monuments (SAMs) outside of West Penwith in the Cornwall AONB on the Heritage at Risk Register. The Register is maintained by Historic England and is free to search on their website. Cornish monuments at risk range from prehistoric settlements, barrows and stone circles to defensive and industrial heritage features. 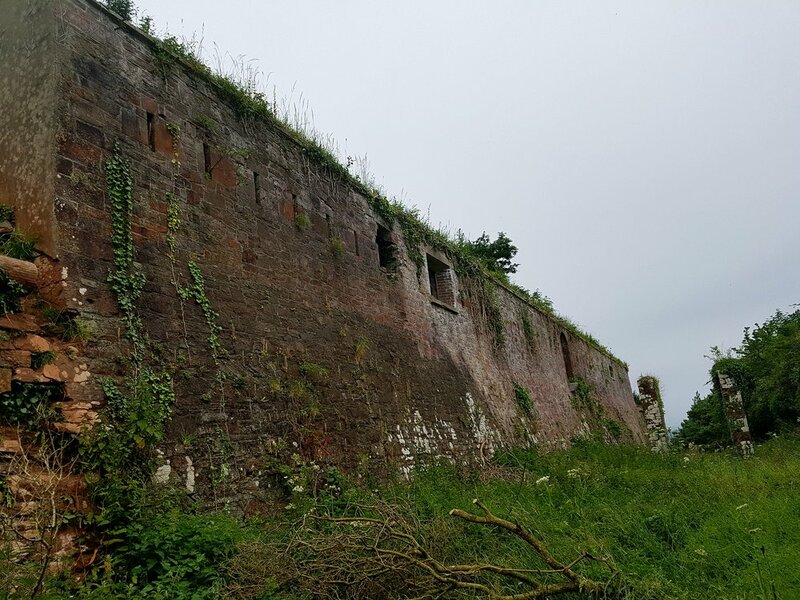 A further 50 sites in the AONB are also in danger of becoming at risk if no action is taken to address their condition. 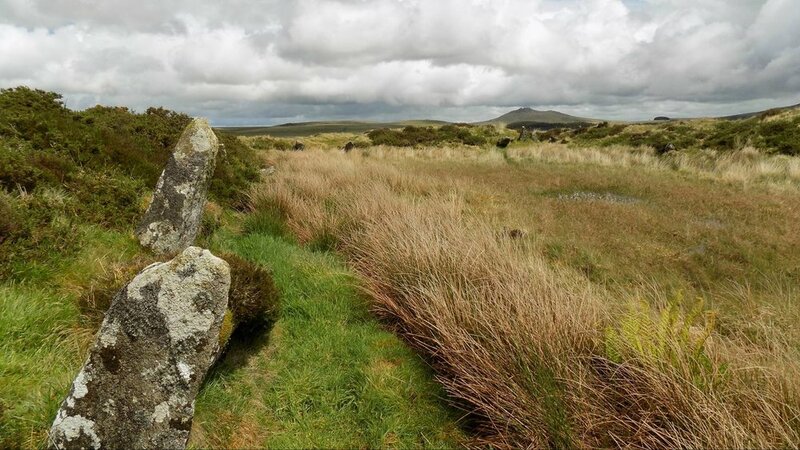 Collectively these sites are principally on Bodmin Moor, the Lizard and at Rame Head, with the main threats being vegetation and tree growth and a lack of awareness of their management needs. Despite their obvious interest, the vast majority of sites contain no on site interpretation or descriptions other than what survives of the monument so most people would be unaware that they are passing through an Iron Age or Bronze Age settlement or defensive fort. Only with the stone circles, tin mines or eighteenth century forts that have a significant physical presence are the monuments more obvious. In some cases inappropriate, albeit unintentionally, harmful attention by visitors can be a threat to sites such as at Stowe’s Pound on Bodmin Moor where the building of “fairy castles” by visitors risks harming the original heritage value of this site. On others such as the rock labyrinth art at Rocky Valley, Tintagel, the tracing by visitors on to paper of the labyrinth features on the cliff face is causing the gradual erosion of these features themselves. In these and other cases heritage is best safeguarded for future generations by leaving only footprints on the path and taking only photographs and memories home. Some of these sites are of unknown origin, such as the mysterious King Arthur’s Hall on Bodmin Moor, owned by Nancy Hall of Penrose Burden. Was this a medieval animal pound or a more ancient moorland, ritual gathering place? Earlier this year the Cornwall AONB Partnership was awarded a £9,700 grant from Historic England to develop a project to increase our understanding and awareness of the needs of our scheduled monuments across some of Cornwall’s most outstanding landscapes, working collaboratively with landowners and community based conservation groups. With the support and expertise of the Cornwall Archaeological Unit, we have now completed four training sessions with Truro College Archaeology students and community-based conservation groups Timeseekers, Cornwall Archaeological Society, Lizard Archaeology Network, Meneage Archaeology Group, Rame Conservation Trust and Caradon Archaeology to equip local volunteers to gain new surveying skills and knowledge and to enable them to help shape the project. These training sessions were the first time that some of these separate groups had met together to share their expertise and experience and to consider how they might build on this and work together increasingly in the future for the benefit of Cornwall’s scheduled sites. This is the first step to developing a plan that will seek to safeguard and stabilise the most vulnerable and threatened sites and provide more opportunities for local people and visitors to learn about, respect and appreciate the built heritage of the Cornwall AONB whether through walking and cycling past these sites or taking a more active role in their physical conservation such as through scrub clearance or volunteer archaeological digs. 'These wonderful sites and Prehistoric remains have been bequeathed to us by our Late Neolithic/Early Bronze age ancestors. To allow them to fall into a continuing state of ruin and hidden by undergrowth is an insult to their outstanding building achievements and why we, as a group, are so committed to keeping them tidy and in the public gaze for the foreseeable future'. By registering with the Historic England website people can now contribute their own photos and information about listed sites to add to our shared knowledge of these important monuments in the Cornwall AONB. 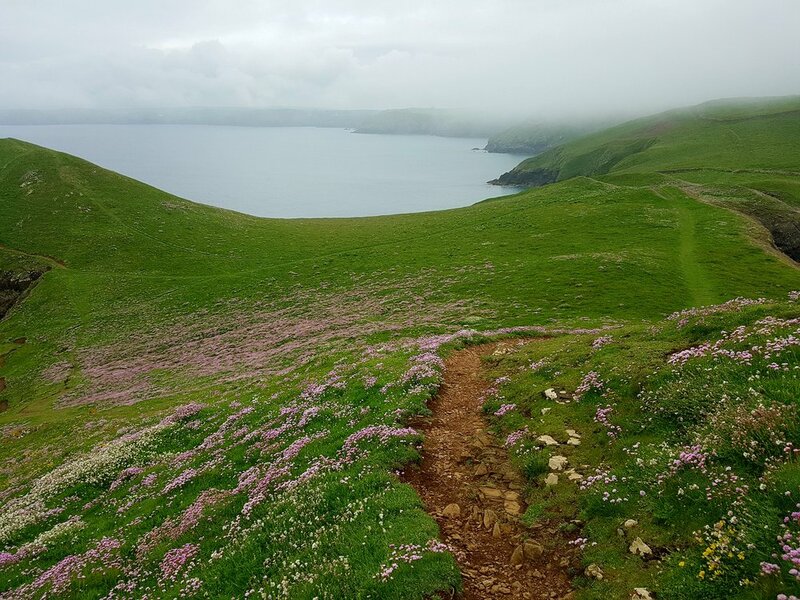 So next time you take a walk out in Cornwall’s AONB, take a deeper look at the landscape and landform and see how much more you can spot, appreciate and learn about this often forgotten and hidden aspect to Cornwall’s protected landscape. You will be amazed at what you will find out!